I live on an estuary that is subject to substantial tidal variation, which although not extreme, is sufficient to lull you into a false sense of security and then in a flash, it can wash you out. On 6th December 2013 our coast in Suffolk, UK was subject to a major tidal surge that saw me rowing home over dry land. Home for me is a seagoing vessel, where the intertidal zone is both domicile and workplace. For centuries our intertidal zone has been an ambiguous territory, both targeted for reclamation and valued as a buffer between dry land and the sea. However due to heightened sensitivity to its uniqueness, the instinctive mistrust of a place that becomes no place twice daily has moderated: now saltmarsh has secured a status within our culture that corresponds to an awakening of understanding. It is a pivotal zone routinely acknowledged as habitat for both fish and avian species, in contemporary parlance it provides an ecosystem service: as a first line of defence by attenuating tidal energy, a carbon sink and by locking up pollutants within its root mass. 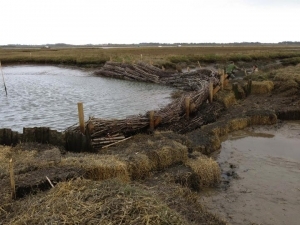 I have worked intensively with saltmarsh systems for more than a decade, exploring ways to understand its dynamic and to stabilize it through soft engineering interventions. In the following paper, using case studies from my own experience, I will discuss the shift in awareness vital to enhancing a sense of community ownership, responsibility and affinity for the intertidal environment. In spite of international treaties and agreements set up to guide the management of coastal and estuarine wetlands, such as the Ramsar Convention for Wetlands, the Water Directive Framework, and the European Habitats Directive, there are subtle variations upon their interpretation and application from one sovereign state to another. Anyone knows that so far as human usage is concerned, the value of land is the composite of the stories that animate it and that this is the product of particular cultural milieux. Memory and native conservatism combine to create the basis of a sense of ownership and responsibility for stakeholder communities, which, when underpinned by a political status quo makes some courses of action desirable and others out of the question. England is undergoing a sea change in the governance of coastal and estuarine management policy, the implications of which have hardly been registered let alone accepted at a public level. Rightly or wrongly it appears that central government is gradually withdrawing from direct responsibility for the integrity of our coastline in favour of adopting a more mediatory role. Since it inevitably takes a while to see beyond misinformation and misunderstanding over who is responsible for what, there will be a delay in the time it takes for communities to overcome the sense of betrayal that their security is no longer automatically underwritten by a benign authority, to apprehend the potential for this be the first step towards a renaissance in public awareness and greater community autonomy. In turn this will inevitably evolve a very particular approach to coastal management, distinct from historical models and from the experience of other countries that must work with their own institutional constraints, freedoms and shibboleths. Predictably this is a model that favours, people property and valuable infrastructure against agricultural land. It is equally predictable that landowners were not impressed and even felt let down and isolated by government. Over recent years government agency funding has been increasingly reduced to the point that only the most urgent estuarine and coastal projects can be exclusively paid for by the treasury. Elsewhere, especially in rural locations, partnership must be the name of the game. If this is taken in tandem with the Localism Act of 2011 (The Localism Act of 2011 was generated during the previous administration to cut red tape and to empower the citizenry by enshrining the principle of partnership.) and the devolution of greater power to communities, it could be considered an opportunity to reconfigure landscape according to their own priorities. In reality it also means that any shortfall of resource must be met through community engagement. However it is an ill wind that can blow good and on our rivers and coasts it has led to new approaches for essential defence works, for which central government funding would otherwise be unjustifiable. Starting as a protocol to facilitate the process for landowners to gain the necessary permissions to manage their own defences, this rapidly developed into a real partnership where initial private financial commitment could draw down support from other sources including national, regional and local government. Although to allow landowners to take the initiative is a workable principle where local interests are at stake and the resource is available, there is certain to be a level of doubt and obfuscation should this impinge upon broader interests or upon major national infrastructure projects where such largesse may not be so readily forthcoming. The shoreline is where interests intersect, where the need for a sustainable coastal system frequently finds itself in conflict with local pressure to secure coastal settlements against their unviability from the effects of flood or erosion caused by increased storminess. Nowhere has this issue achieved such a high profile as it did in 2012 on the Eastern Seaboard of the United States after Hurricane Sandy, when opinion became starkly divided between those who wish to enhance the resilience of coastal defence works and coincidentally create further real estate investment opportunities on the shoreline and those who recommend withdrawal to allow the system to establish its own equilibrium. Predictably opinion is split between those who already occupy the coastal fringe and intend staying put and those who do not. 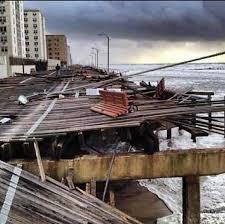 Although opinion has come down heavily on the side of enhancing shoreline resilience in one way or another, this disaster has had the effect of concentrating attention on an issue that until now has not been taken seriously enough and has at least raised the level of public awareness of the debate over climate change nationally even if consensus remains just as elusive as it ever was. guides, being both geography PhD students and very keen surfers, explained that this rather ambivalent approach to beach stabilization was part due to a conflict of interest through the use of the beach for the Annual Surf Championships, where the presence of too many hard groyne structures would not only have compromised the wave systems as they approach the near shore, but also constitute an unacceptable hazard for the participants. Beneath the boardwalk at the top of the beach, there is a seawall, which, at the time of my visit provided direct access to the beach through regular apertures with no apparent floodgate provision. The landward side of the wall is lined with condominiums all of which open on to the street at a ground level lower than the beach in front of the wall. The main street running parallel to the beach still has some older more modest houses, many of which significantly are sited upon low pyramidal mounds. When I queried the absence of precautionary measures against storm driven surge tides, the answer was that this part of the coast has nothing like the tidal range that we experience on the East Coast of the UK and that the tide never even reaches the top of the beach. 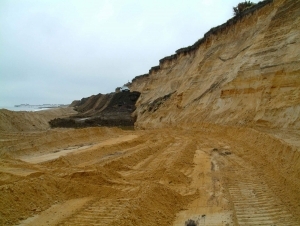 Correspondingly the main focus of environmental effort has been to give preference to a strategy to anchor the unstable dune system over safeguarding against potential flood events. 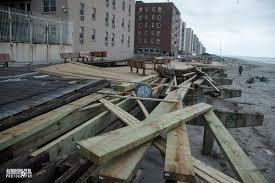 Within 8 months this all changed when, on 29th October 2012, Hurricane Sandy made its landfall and the question of coastal management and flood resilience for the entire East Coast was put into complete disarray with repercussions that would be felt nationwide. Overnight those unstable dune systems were swept aside and dumped inland, shoreline structures such as the famous boardwalk were shredded, weatherboard houses lost their foothold or succumbed to the relentless battering from seas for which there could be no possible resistance. In Suffolk, UK, where I have my home on the River Deben Estuary, there is a continuing debate about flood risk management of quite a different order. preparedness has been hard won from bitter experience of loss of life, livelihood and property within many peoples lifetime: the disastrous tidal surge of 1953, breached many of the coastal defences of East Anglia as well as much of the Dutch Coast with a combined death toll that was numbered in thousands. In East Anglia, the immediate response to a very poor level of emergency preparedness was to beef up the sea walls around the entire coast and bring them to a consistent standard. 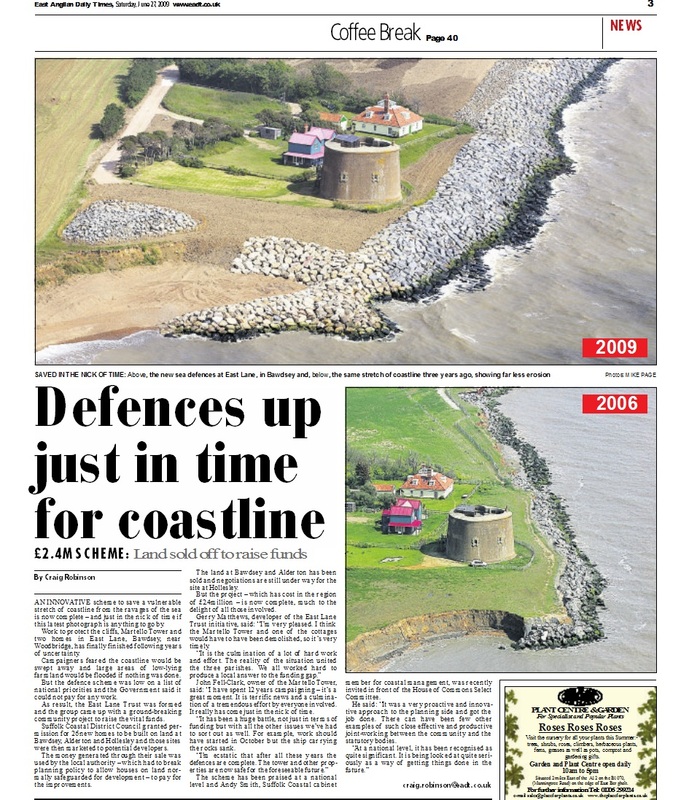 Since that time, whilst the overall coastal defence strategy has become increasingly well coordinated, conditions have changed: many of the hard defences, put in place in the 1950’s are now failing due partly to their age but also to a fundamental flaw in the principle of the defences themselves. Hard concrete structures may stop the sea from getting in but they also deprive coastlines of mobility and with this the capability to accrete and retreat according to the vagaries of weather and sediment transport. In this sense they hold the seeds of their own destruction. The River Deben is predominantly a rural estuary with just one major settlement, Woodbridge, at the head of navigation. Consequently, most of the flood defence walls along its length are of clay construction and frequently ancient enough in their origin to be established upon medieval foundations. As for most of the rivers in Suffolk, in front of many of the walls there is a fringe of saltmarsh, which acts as a first line of defence and bears the brunt of wave action and tidal energy. This is a relic of those more extensive marshes historically ‘warped in’ to create productive farmland. 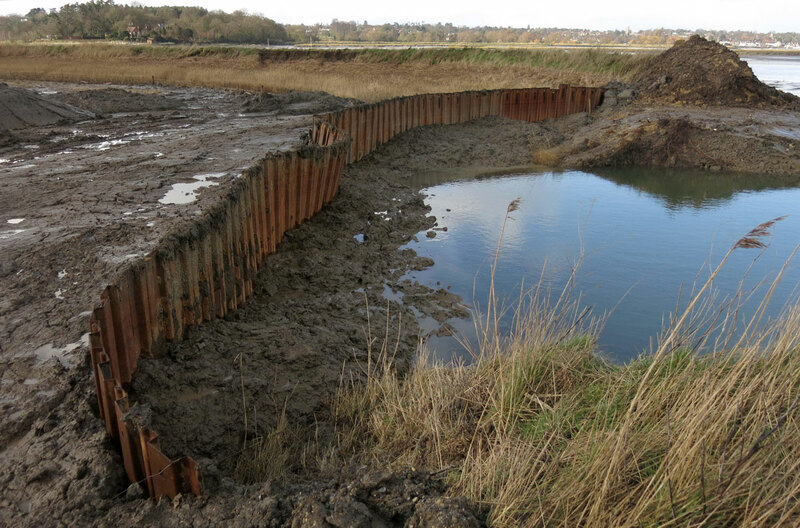 Under the aegis of the Deben Estuary Partnership, formed in 2009, a campaign has been undertaken to bring all of these walls up to a consistent standard, of which, one particular project was for a turf wall where the tidal Martlesham Creek enters the River Deben estuary at Hill Farm. 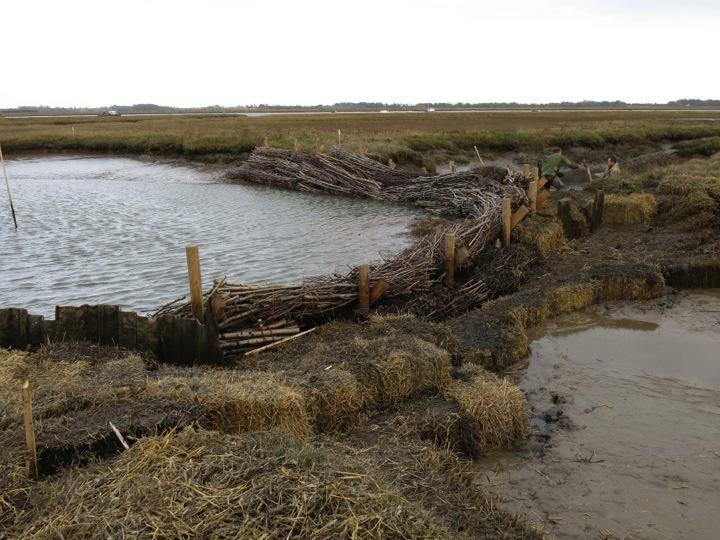 This task, undertaken through a partnership agreement between the landowner, the local authority, Suffolk County Council, the East Suffolk Internal Drainage Board and the Environment Agency, was completed in 2011. Although this was a positive step and considered a great success at the time, on 6th December 2013 the East Coast of England experienced a surge tide that was equal to if not exceeding the levels of the 1953 disaster. Fortunately, because our level of preparedness is now much improved, there were no fatalities but there were several incidences of failure of defence works, including those that had been constructed on Hill Farm just two years previously. 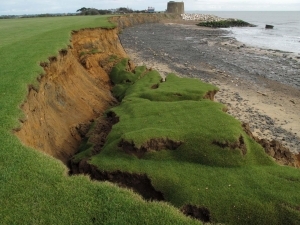 This wall breached in three locations each as a result of overtopping and eroding the back surface to the point that it was sufficiently weakened to the point of collapse and, unable to withstand the sheer weight of water, bursting spectacularly, dumping complete sections well inside the field and leaving them behind after the tide has ebbed. Just as circumstances always change, so our responses to them are equally dynamic; what makes sense for one specific time or place does not necessarily transfer to another; particularities of topography, belief, value and cultural memory that make some solutions possible will by the same token render others unacceptable. 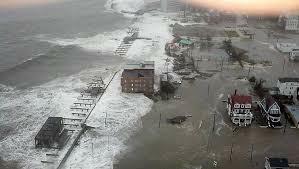 On the eastern seaboard of the United States, post Hurricane Sandy and after the immediate recovery and adaptation process, the priority was to develop a suitable long-term approach to coastal vulnerability. 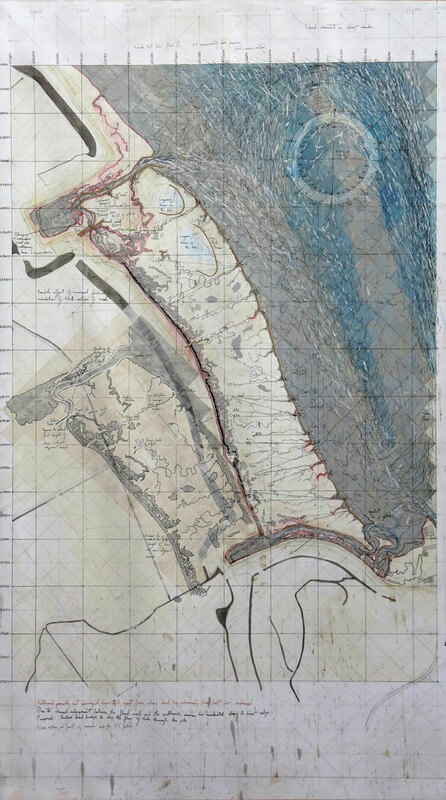 This took the form of an international call for engineering solutions, where the submissions ranged from reinstating natural intertidal resilience and withdrawing settlement where it is considered unfeasible, to beefing up the hard defences on the assumption of business as usual. Unsurprisingly the strongest arguments were to underpin if not enhance the value of beachfront real estate and to turn emergency into opportunity. If the commitment is so great to retain coastal developments that there can be no retreat, the only alternative is to find ways to advance the shoreline. 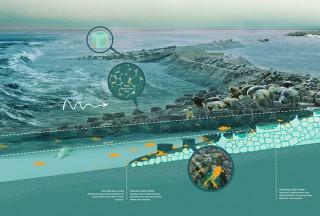 A scheme for the exposed shoreline of Staten Island that was the winner of the Buckminster Fuller Prize in 2014 was “Living Breakwaters”, by ‘Scape’ Landscape Architects. This comprises a series of cellular concrete reef structures placed in the immediate offshore littoral zone to promote marine biodiversity and develop a native Oyster habitat. The intention would be for these new Oyster Reefs to create sufficient shelter to propogate biodiversity and act as breakwaters to attenuate wave action. The long-term strategy would be to develop a chain of reefs and islands to provide a new marine environment and remove a degree of risk of storm damage to onshore settlements. A similar approach is in the development process for the San Francisco Bay area; this is a concept called “Horizontal Levees”, very much in the spirit of “Living Breakwaters”1 this also aims to keep the shoreline exactly where it is by extending a vegetated intertidal zone seaward to attenuate wave energy and absorb the impact of storm driven seas, thereby reducing the level of flood risk for the immediate coastal environment. 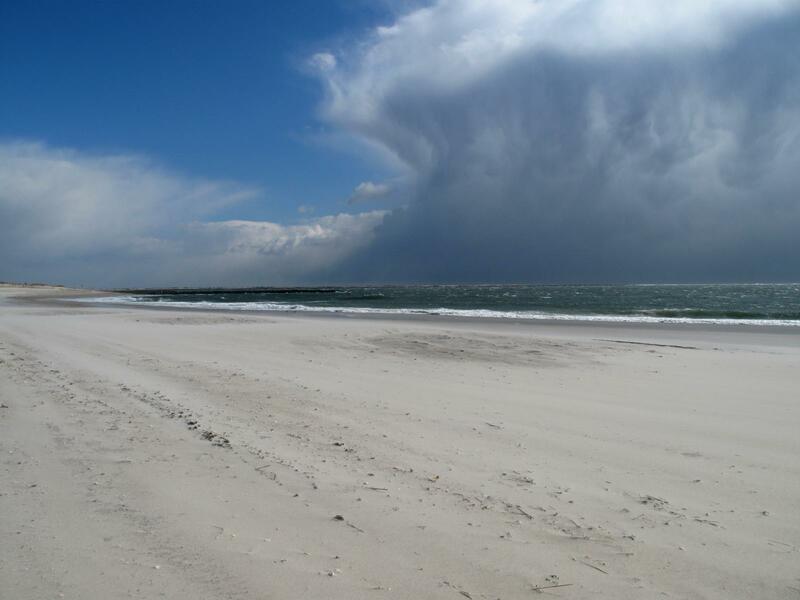 Both of these examples appear to be driven by the single principle to retain the viability of coastal communities and the value of shoreline property as an investment and rely upon the principle of constructing a way out of crisis. In the Netherlands, the need to live with continuous threat has prompted other solutions informed as much by a culture wedded to the water as by native pragmatism. The precarious relationship that they have with the sea is in the DNA of the Dutch, their livelihoods and way of life has been won from the sea, which could if the guard were allowed to slip, take it all back again. At present the Dutch are being tested again; as always their land is under threat, but now unpredicted hazards have arisen, directly and indirectly the result of the original great polder experiment. As land is drained, so over time it shrinks. An indication of the age of reclaimed territory is the amount it is below sea level, the older the polder, the lower its elevation. So long as the protection stays in place, this would normally not be a problem, but due to increased storminess and seasonally high rainfall the threat can shift inland to the fluvial system and the inability of rivers to cope with increased flows, leading to higher incidence of flooding. Where this has happened the Dutch have responded with typical pragmatism: for areas of high risk there is an initiative called “Making Room for the River”, which is to create flood holding areas to contain excess fluvial water at times of spate or to increase the capacity of the existing river channels and to create flood relief channels such as is currently being engineered for the River Waal at Nijmegen. Even where a polder is secure from flooding another effect is being felt, which is salt percolation from the sea, corrupting the fresh water supply and salinating the soils to such an extent that orthodox arable cultivation threatens to become unviable. As a response to this, a successful project to develop a salt tolerant variety of potato has been conducted on the island of Texel in the Netherlands. This has been such a success that now seed potatoes are being exported to Pakistan to be trialed on salt contaminated land there. Just as in the USA, hard coastal protection in the Netherlands is an impediment to sediment transport with the effect that beaches become depleted, exposing defence works directly to the effects of increasingly volatile weather and violent storms. Directly offshore at Ter Heijde on the Delftland Coast a project to supplement sediment drift is being trialed: instead of recharging beaches directly to bring them up to level, the principle is to deposit very large amounts of sand in strategic locations on the coast and let longshore drift do the rest. 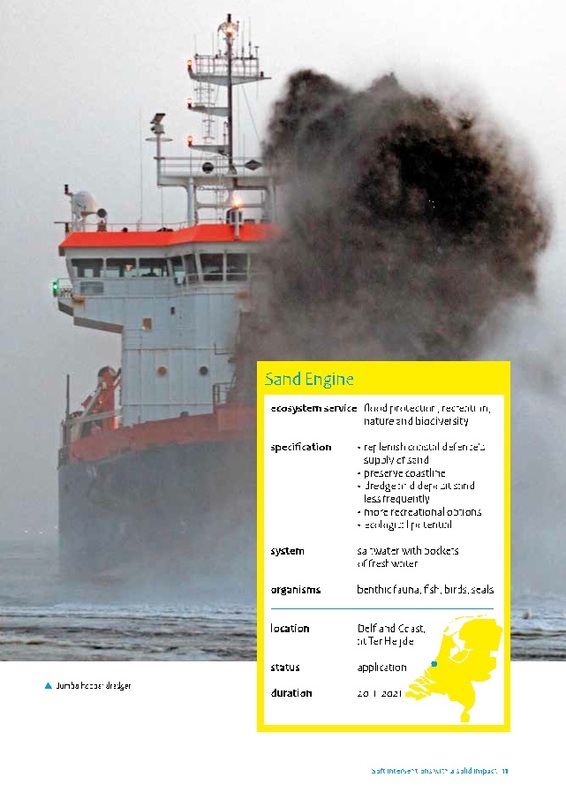 This “sand engine” initiative has attracted a great deal of attention internationally, not the least on our soft East Anglian Coast where it is increasingly difficult to justify extraneous hard structures, and has become a dilemma to know what to do for the best to promote coastal stability into the future. In keeping with an awareness of the diversity of coastal topography, influenced by local landscape characteristics and levels of vulnerability, there is a more nuanced approach towards management. Where sea defences experience high level of stress, depending upon an assessment of the level of risk and loss of assets, there may be strong arguments for letting them go in a controlled manner and withdrawing to create new intertidal zones through managed realignment. This is a sensitive issue and Central Government through the Environment Agency has learned to become informed of local opinion and interests before advocating a particular course of action. Consequently, in order to secure a dedicated solution, local influence exerts a greater pressure upon the decision making process. where it is clear that in the long term there will be no choice but to accept that a defence will sooner or later fail, the best option might be to bow to the inevitable, put mitigation measures in place and withdraw gracefully1. 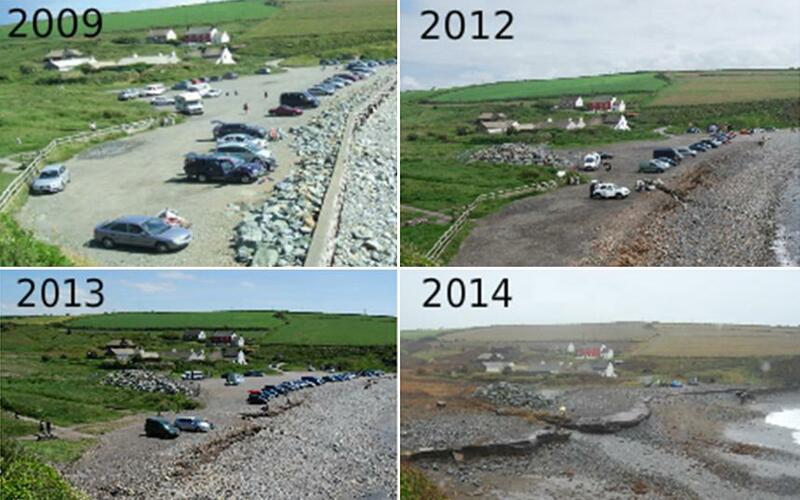 A good example of this is Abereiddi on the Pembrokeshire Coast: owned by the National Trust, it became increasingly obvious that the protection measures put in place against coastal erosion had incrementally become so brutal as to impact negatively upon both the environmental integrity of the site and the visitor experience, with the effect that the most sensible solution became to remove the hard defences altogether and let the coast realign and stabilize in its own manner. This approach chimes with the stated aims of the National Trust to, wherever possible, allow natural processes to generate their own equilibrium so long as due regard is paid to the need to secure the immediate community against a higher level of risk. this was a comment made by a local coastal officer, upon the inclination of communities to tackle the symptoms of environmental change upon our coast and estuaries in a piecemeal, case-by-case manner, rather than respond strategically to a perceived cause. Although this criticism makes perfect sense, it does not acknowledge the need for communities to develop a sense of ownership and responsibility for their own landscapes. 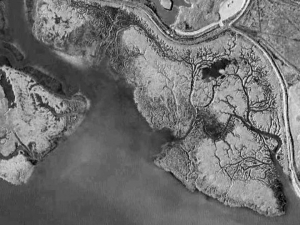 There is scope for both major, whole landscape, capital works such as the Wallasea Island realignment site on the River Crouch in Essex and modest projects that foster a sense of social engagement and understanding of the natural systems at work and which incrementally work by stealth towards a major shift in the strategy for managing our coastal landscapes. “Tinkering” does not necessarily limit itself to modest lo-tech projects; it can be extremely ambitious, when, for example, overriding stakeholder interests coupled with the determination to meet the challenges head on, prompt communities to take matters into their own hands. The difference between these projects and comprehensive strategies is that they tend to be one off and conceived in isolation with scant regard for the effect that they might have upon the behavior of a whole system. Even with best engineering support and advice, they can be a step into the unknown where unforeseen consequences can happen and permanent solutions remain elusive. 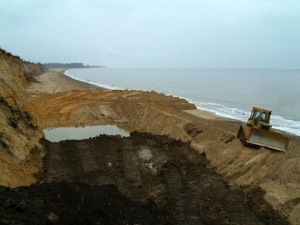 In 2000, Peter Boggis, a coastal landowner from Suffolk embarked upon an audacious and quixotic coastal defence scheme in front of his cliff top land at Easton Bavents, immediately north of Southwold. This project at its peak was a kilometre long sacrificial rubble and soil cliff enabled through shrewd interpretation of landfill regulations coupled with a waste soil exemption license. At a charge of half what it would cost to take material to a landfill site, up to ninety trucks a day were dumping soil, which was then graded by a bulldozer, working, according to the state of the tide, seven days a week. 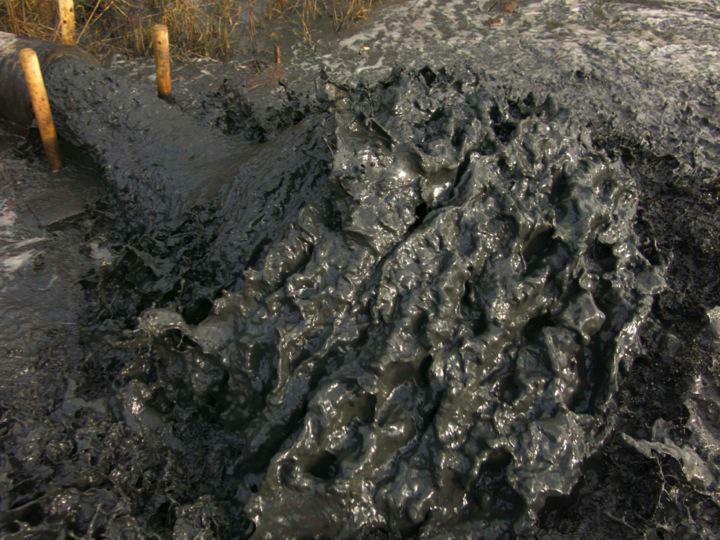 From this, 40,000 tons of spoil were being lost to the sea annually. There is something compelling and admirable about the Sisyphean labour of piling up earth for it to be continually washed away, but ultimately this unregulated operation alarmed our government agencies to such an extent that they felt compelled to intervene. In 2005 Natural England, the agency responsible for the natural environment for the UK, declared an SSSI (Site of Special Scientific Interest) upon the cliffs of Easton Bavents to acknowledge of the fossil deposits that they contain and promptly issued a court order for the work to cease. Although this was contested and Peter argued the case successfully through the European Court of Human Rights, this was subsequently overturned on appeal. Now in 2015, there is very little left on the beach to remind us that it ever happened. Further south on the Suffolk Coast, is a group of buildings on a small promontory called East Lane. These comprise an extensive but dilapidated complex of first and second world war fortifications, a bungalow, a tin Edwardian Villa of the type that were flat-packed to Australia in the 19th century and a Martello Tower. Due to the effects of coastal erosion this is yet another site that just teeters on the edge of England; here the tendency for soft earthen cliffs to retreat has been held in abeyance by the presence of the concrete fortifications causing a headland and interrupting the normal cycle of erosion and accretion of sediment along its frontage. Now the North Sea is threatening to outflank it, which it would do were it not for the sheer bloody-mindedness and determination of the owner of the Martello Tower and the local landowning community who are dead set against allowing nature to wash their property away, abetted, in their view, by a disinterested government. There is no way that central government funding could be justified to unilaterally maintain this particular site, but upon the initiative of the local community the basis was established for work to be undertaken on the principle of a public-private partnership. In 2007 the East Lane Trust was formed to raise £2m through an “Enabling Development” approach by which a variance of the Local Plan was sought to permit the allocation of a number of plots suitable for development within the Bawdsey village envelope and to plough the money back as a core fund for a defence scheme. The proposal was accepted and, having attracted partnership support of a further £1.5m from the local authority and Environment Agency an immense rock armour revetment was in place by 2009. However, as in all dynamic situations, the story does not stop here and it became inevitable that the coast would continue to adjust itself around this fresh intrusion, diverting tidal and wave action to those immediately adjacent areas of coastline that do not benefit from hard protection. As a consequence, through the quaintly termed “terminal groyne stress” both the soft cliff to the south of the site and the shingle beach to the north are depleting at an alarming rate. 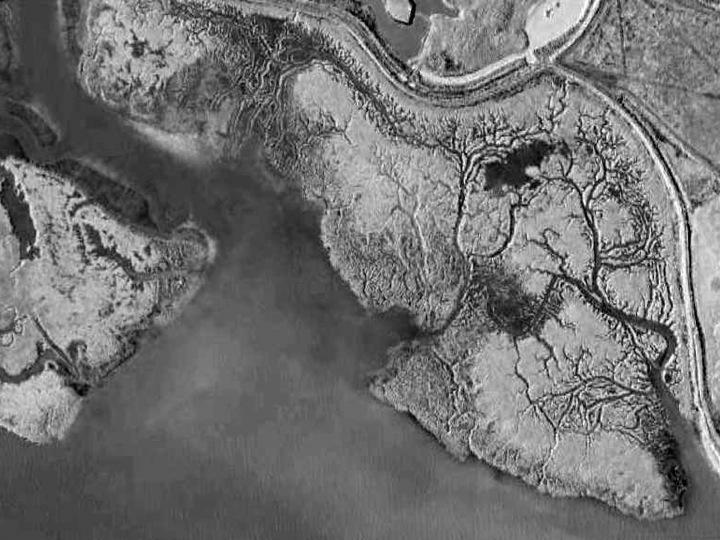 The Suffolk Coast and Estuaries are rich in saltmarsh habitat, much of which is severely under threat and in a declining condition driven by a range of factors, not the least of which is probably the incremental rise in tidal levels causing those marshes that were only completely covered at high spring tides to find themselves now under water on almost a daily basis. 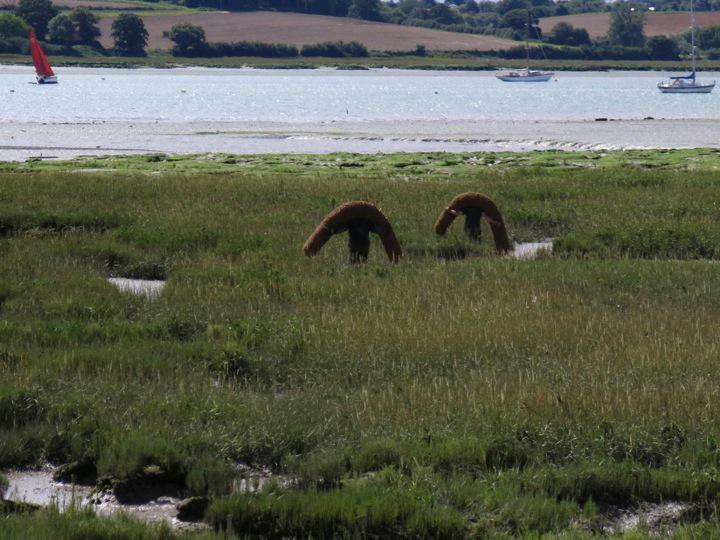 It is a principle of saltmarshes that the vegetation, according to its level in the tidal column, is salt tolerant to greater or lesser extent and will not comprehensively thrive through continuous tidal inundation. The degree that a plant is salt tolerant corresponds to its physical level in the succession of the marsh, for example: so-called pioneer plants such as Marsh Samphire (Salicorna Europaea) thrive at the lowest level and have high tolerance to salt inundation, whilst those at a higher level of less frequent inundation such as Sea Couch Grass (Elymus Pycanthus) are adapted to salty soil but do not cope well with frequent tidal inundation. The effect of this is that where well-established marshes are experiencing greater periods under water, there is evidence that the middle range of saltmarsh plants are beginning to fail and the level of the marsh slump. The effect of this is that a whole site can revert to a pioneer state and not accrete beyond it. Increased tidal flow over the site combined with the lowering of resilience of the marsh through the loss of vegetation, will turn it into mudscape within a relatively short period of time. It is well catalogued that those relics of extensive saltmarsh complexes, isolated by reclamation as “fringing saltmarsh”, are subject to greater levels of stress because they cannot adjust to change by rolling back to higher ground as sea levels rise, this is an affect referred to by coastal geomorphologists as “Coastal Squeeze” where, saltmarshes start to fragment and are literally squeezed out of existence when they are not able to retreat to higher ground because of the defence works. There are a great many other causes for the changing condition of the intertidal zone, including water quality, levels of salinity, the higher presence of pollutants and nutrients in the system and the physical effects of boatwash and wave action; all of which contribute to a general lowering of the resilience of saltmarsh. With this in mind and as a response to a call from the Environment Agency for a higher level of community engagement in the consultation process over estuarine management, The River Deben Association, a community organization identified as a key link, proposed a pilot project to explore the capability of soft engineering solutions to attenuate tidal scour and encourage higher levels of sedimentation on saltmarsh areas that are showing signs of deterioration. 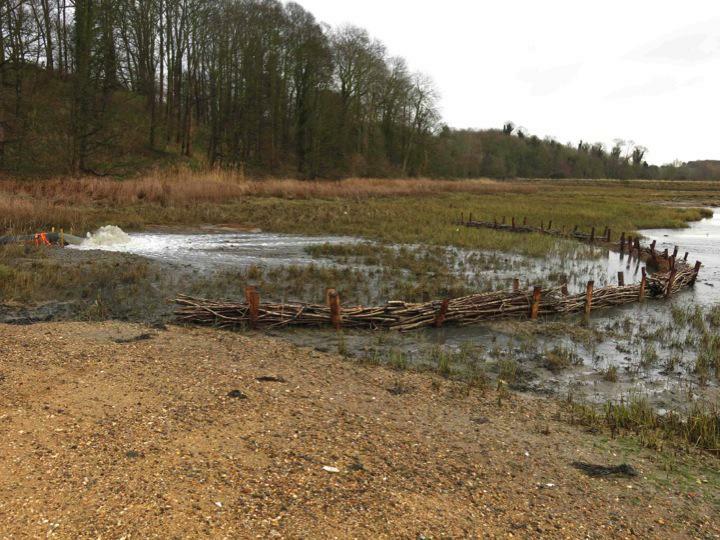 It was imagined that by default, this exercise would also raise the level of community engagement and understanding of estuary processes and as a consequence promote a stronger sense of responsibility and ownership of the estuary landscape. I took the responsibility for driving this proposal and after an initial rejection, in 2009 we succeeded in persuading the Environment Agency and (then) English Nature to give the necessary consent to start work. 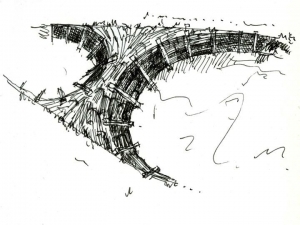 The project is a 100 metre structure of sixty linked brushwood baffles along the frontage of Sutton Saltmarsh opposite Woodbridge Town Quay on the River Deben. This is an area that has suffered a great deal from scour caused by the ebbing tide and wave action, which if ignored, would eventually wash away much of the marsh. At the time we would not have guessed that this would herald a change of heart by the Environment Agency towards a positive approach to managing the intertidal zone in alliance with stakeholder communities. 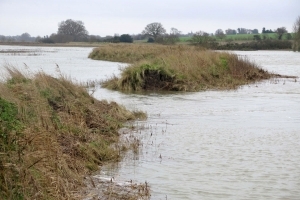 Although there are arguments for and against interfering with natural systems, it is worthwhile remembering that most of our estuarine rivers owe their form to a sustained history of interference and that the viability of our flood defence walls relies largely upon those fragments of once extensive saltmarsh systems that remain in front of them. We cannot claim that the soft engineering approach to saltmarsh management will be a long-term solution, the systems that we are working with are much too volatile, the best we can say is that having opened up a conversation with their behavior, we have created the conditions for understanding more and hopefully providing a context for landowners to come to their own informed conclusions over how to manage highly vulnerable floodplain assets into the future. 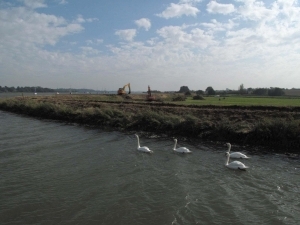 In 2010 the owner of a saltmarsh close to the mouth of the River Deben at Falkenham, approached the Deben Estuary Partnership with a proposal that it might be interested in collaborating upon a management scheme to which he would be willing to make an in-kind logistical and material contribution. 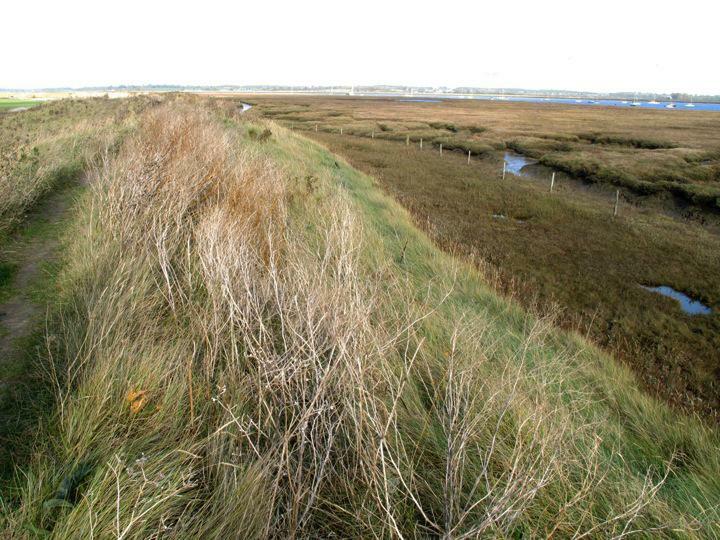 This is a substantial fringing saltmarsh of 14.5 hectares, which although still in good condition, is showing signs of vegetation loss and fragmentation particularly along the borrowdyke channel between the wall and the marsh due to an incremental increase in the tidal exchange through the system over the previous century. It has become an absolute certainty that if this situation remained unaddressed, the break up of the marsh would soon become irreversible. 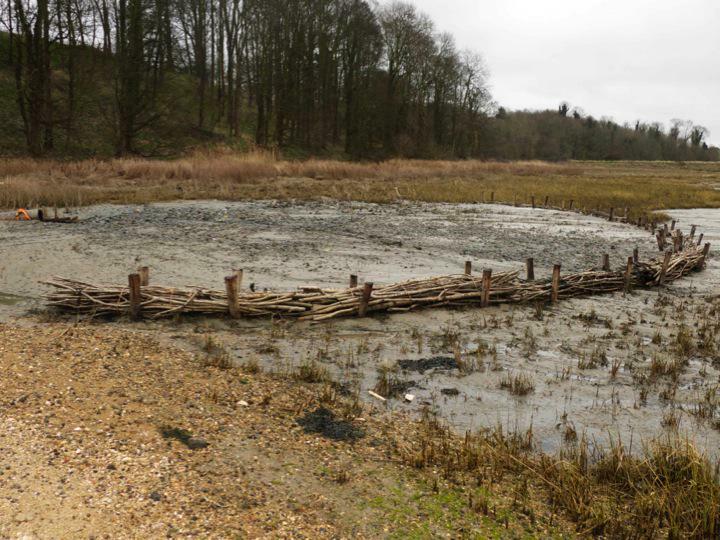 For this project, Natural England, the Statutory Agency responsible for advising upon the Natural Environment insisted the work be carried out using biodegradable structures that in time would decay and become integrated into a replenished intertidal landscape. On this basis we designed a series of three bunds and sills through the borrowdyke channel, comprising a bund in the middle to prevent the tide from running through unimpeded from one end to the other and at either end a more complex structure to combine the purpose of limiting the speed of tidal ingress and holding it back on the ebb. This is symptomatic of the difficulties that I frequently experience: as an advocate of a broad and interdisciplinary approach to estuarine management I frequently find myself ranged against coastal scientists and engineers who justifiably inform me that I am unqualified to adopt the role that I frequently adopt. However, what is frequently not appreciated is that without the generosity and technical input from a broad interdisciplinary community any solution is certain to be flawed, no matter who accepts the responsibility for its design and construction. commercial craft to lay alongside wharfs and quays on our tidal rivers should be subject to exactly the same criteria as those applied to major commercial operations. Before 2013, there was a loophole that was exploited by most small concerns, which was to clear the foreshore by plough dredging. This activity differs from orthodox procedure in that the material moved remains within the tidal system and is not physically removed and deposited elsewhere. Plough dredging is as simple as it is problematic. The operation is managed by a tug pulling a dredge that literally ploughs up the foreshore and drags the sediment out into the tideway for it to be redistributed by the ebb. Obviously this expedient does not remove sediment from the system but simply releases it to redeposit again on another foreshore. As a quick fix, it is fine, but in the long term there is little advantage to be accrued from shuffling the same material around at the head of a river. Since 2013, plough dredging has also become subject to licence. The MMO is the new government agency responsible for regulating all works conducted within the tidal system to the limit of our territorial waters. Initially established to manage our offshore assets, by default the MMO has also inherited the responsibility for inshore waters. At the outset it had not appreciated the fine grain of an inshore and estuarine operation and that this would need an expertise quite distinct from that developed offshore. It is a strange coincidence that our tidal rivers increasingly need dredging to keep small ports and marinas operational just when our saltmarsh systems are becoming depleted. The anomaly of surfeit of sediment in the tidal system coupled with the loss of saltmarsh material has led to the obvious solution that sediment dredged to keep marine businesses operational should be used to recharge degraded saltmarsh, raise their profile within the tidal frame, encouraging them to propagate. 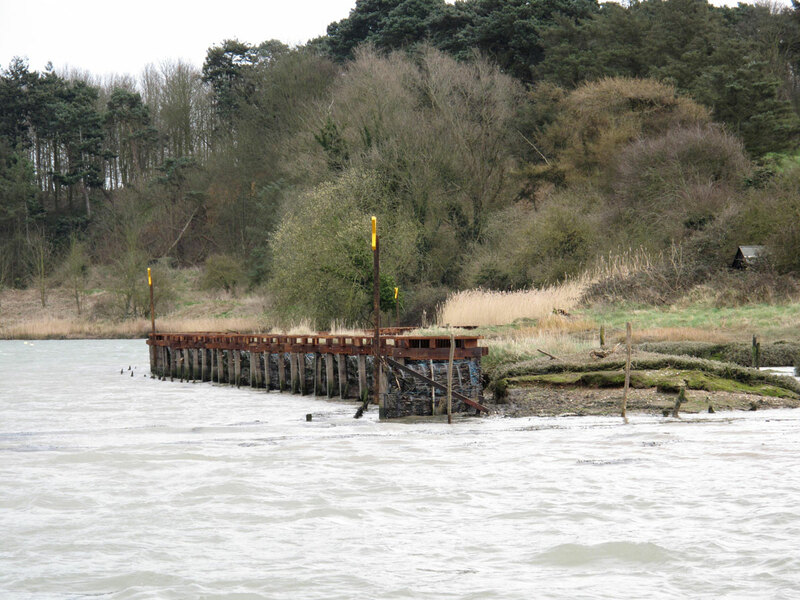 This strategy has already been conducted on a large scale using dredging material from port operations such as from Harwich Harbour at Horsey Island on the Walton Backwaters, but is more problematic for smaller scale intermittent operations where the costs incurred are likely to include analysis of samples of the sediment to be moved, permission for the material to be transferred from one location to another, an Environmental Impact Assessment and a licence for all of this to be carried out, which many small interests might consider prohibitive. 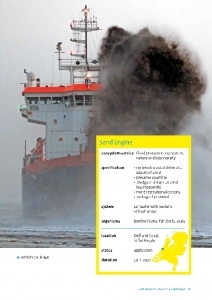 Some progress has been made in discussion with the MMO upon creating a special case where there are clear mutual advantages for the beneficial re-use of dredging spoil as recharge material, but the whole process still has to be regulated, which remains subject to a fee, no matter how sympathetic the institutional view may be. Businesses such as marinas are obliged to keep their moorings free of sediment and consequently must budget for an annual dredging campaign, which means that a license agreement along with upkeep of dredger and skilled crew is an ongoing part of the operation. Since it cannot be pumped straight back into the tidal system, there must also be a negotiated agreement over where the spoil is to be deposited. This is an easy decision to come to where there is an agreed site that would benefit from recharge close enough to permit direct transfer of dredged material. The next stage is the logistical matter of how to transfer the material and how to prepare the site to receive it. 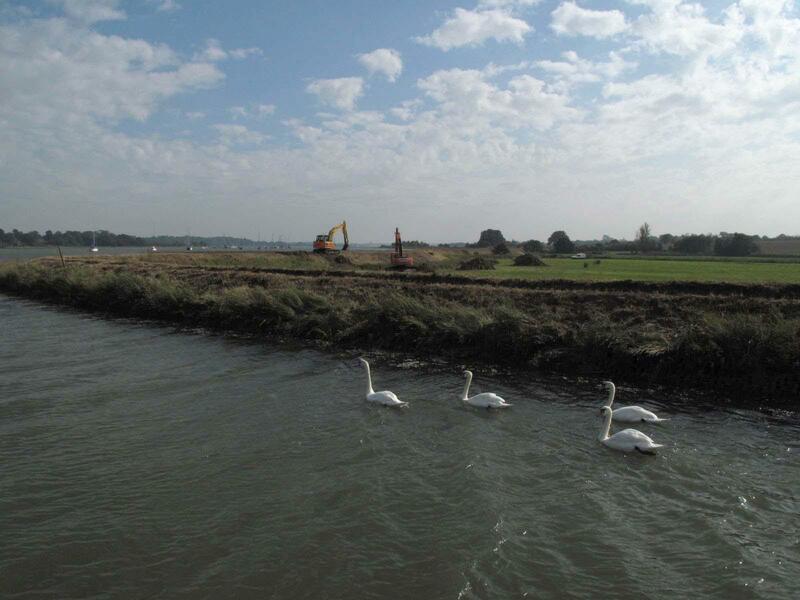 This has been trialed at Lymington Harbour (The Project at Lymington Harbour, implemented by the Lymington Harbour Commissioners in 2012 in receipt of grant aid from the Crown Estate, sought to replenish a saltmarsh habitat in combination with a breakwater scheme immediately seaward of the yacht haven. 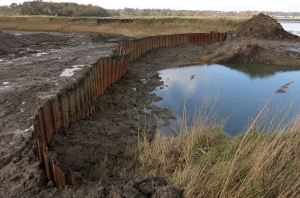 The principle is to pump dredging spoil into a central holding pen of ‘soft engineered material’ (brushwood, coir and straw bales) and to impede the loss of material from the site through a complex of bunds set within the drain channel system.) where the saltmarsh complex that acts as a screen and first wave-break for the marina complex, has begun to degrade over recent years. The jury is out upon whether the experiment is effective, but on the basis that dredging must happen to ensure the continuing viability of the harbor and that it must also be protected from the effects of fetch and wave action, the decision to redeploy spoil to retain the bulk of the outlying saltmarsh makes sense. Over the last two years I have worked with Suffolk Yacht Harbour on the River Orwell, designing and installing a series of low bunds using ‘coir logs’ (Coir Logs are biodegradable sausage shaped forms approximately 3metres/16” of densely packed coir fibre held in a tightly woven coir twine net. The application we have adopted is to stake each log directly into the channel bed creating a sill to slow down flow of dredging spoil through the site and to encourage the deposition of sediment.) in the saltmarsh channel complexes to prevent pumped dredging spoil from flowing straight back into the main tidal system. This has been carried out on two principle sites convenient to the location of the dredger and for the practical run of pipe between dredger and discharge point. We have prepared two sites, each demanding a separate approach and have so far achieved a high level of success to the extent that we are continuing to manage flow through both sites by adding more structure where appropriate. From this experience, it is clear that where there is a source of dredging spoil and an element of certainty that it can be held where it has been deposited there is a strong likelihood that saltmarsh will regenerate. For those other projects that can only work with the sediment that is carried into a site on the tide, there is less certainty, since the time it takes to make any appreciable difference may well be greater than the longevity of the structural solution applied. This will always be a gamble, and the more we do the greater we understand the capacity of certain materials and therefore their appropriateness when applied to specific working environments. This being a relatively new and exploratory area of research, the jury is still out upon what is good practice and specialist engineers frequently rebuff what they consider to be invasion of their territory by the unqualified. Even the field of soft engineering is not without disparity: there are those schools of thought that champion the use of new plastic and geotextile technology, those that insist upon biodegradable materials and of course those who advocate leaving well alone. 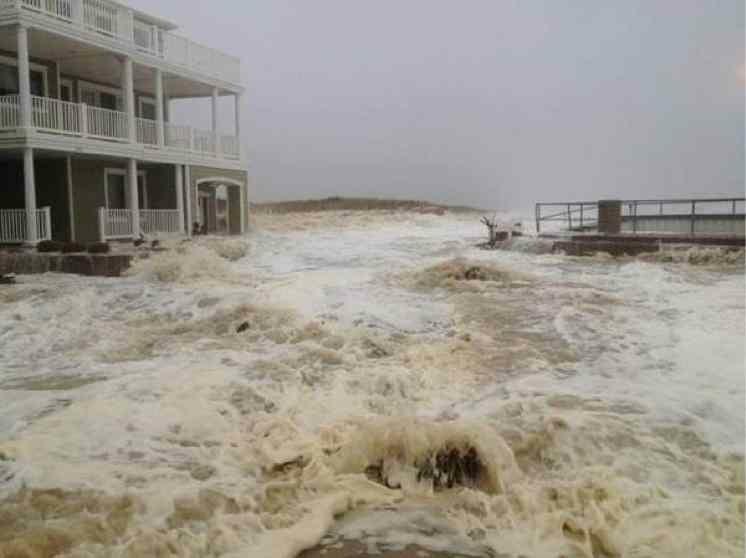 As the debate over coastal management gains increasing attention worldwide so opinion over methodology and procedure has become riven by dispute. Disagreement is endemic and extends from the characteristics of the natural systems themselves, what is happening and why, to the absence of a consensus upon procedures for addressing these challenges. The debate is split along many different fault lines, not the least of which is adherence to the orthodoxy that singular solutions can be distilled through linear processes. Of course this is attractive since the alternatives are messy; relying as they do upon a wider level of public stakeholder engagement, they are obliged to reflect a broader spectrum of needs and are consequently multivalent in character and piecemeal in implementation. They may not defer sufficiently to specialist knowledge and may initially appear flawed in conception and unworkable in application. However, upon reflection the main difference could be no more than a matter of order: whether it is procedurally incorrect to work inwards from a generalised overview rather than through the application of specific tried solutions towards defined ends is questionable in such a highly conjectural environment, since although both can raise the level of experience, neither can deliver certainty. The only certainty in this activity is in the amount of scrutiny any scheme within a precarious landscape such as the intertidal zone must undergo before implementation that, even if it attracts sufficient funding, it will not happen if it is deemed technically or strategically unacceptable. However it is conceived, to achieve approval, any proposal must be scrutinised by the Marine Management Organisation (MMO) if work is to take place below mean high water (MHW), the Local Planning Authority (LPA) if it is to be above MHW, Natural England (NE) and Environment Agency (EA) if any conservation designations apply such as Site of Special Scientific Interest (SSSI) or Special Protection Area (SPA), the Internal Drainage Board (IDB) if the work is likely to compromise drainage of the hinterland in any way. Any submission will be subject to satisfactory submission of an Environmental Impact Assessment (EIA) and if accepted it is very likely that it can only proceed upon receipt of a license fee levied by the MMO. This is normal and as can be appreciated, sloppy or ill-conceived ideas will not succeed. 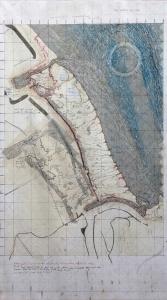 It is remarkable that in a practice such as this, bright ideas still prevail, precisely because of the contingency that lies at its core: although fundamentally a speculative activity, this cannot be considered a substitute for the obligation to be grounded in a clear understanding of the conditions of the site, the structural principles involved and the logistical challenge of undertaking the work. Paradoxically it often appears that the scientific community experiences difficulty transcending its own disciplinary boundaries and as such is bound by a subjective adherence to particular procedural models. Given the suspicion that the arts will be incapable of reaching beyond poetry, it is no surprise that there persists a counterproductive level of mutual intolerance. This is an impediment to establishing holistic partnerships that might otherwise yield solutions that are technically robust and beneficial to the communities that would live with them. The principle of interdisciplinary partnership underlies an approach to management solutions that reflects the essential complexity of any natural system and the demands made upon it by the need to satisfy a wider range of stakeholder interests. When the “Age of Enlightenment” of the 17th and 18th centuries introduced a new rationalism in Europe, the trend was set for specific areas of enquiry particularly in mathematics and physics, to become so particular as to evolve their own discrete codes of practice. Although the enlightenment established a common aspiration shared between the arts and sciences, in practice the further they developed, the more they were certain to diverge, ultimately making it problematic to share discourse in any productive way. As in all societies, knowledge is power and therefore jealously guarded. Although the common good may be at heart, rivalry between the keepers of knowledge is only to be expected. Where once the sciences and the arts were contiguous, they are now become complementary; although this difference has evolved as a rich line of enquiry for the humanities, the need to aver to the rationalism of scientific process for the logistical application of knowledge remains the basis upon which policy decisions are made. This guarantees the underpinning of the decision-making process and apparently lifts it above the vagaries of opinion, but it does not necessarily make it correct. Given the current dilemma we are experiencing over environmental change, the levels of complexity of the range of drivers set against societal impacts, demands a renewed sense of partnership as a precaution against the probability that decisions made from a singular point of view may not be workable. The arts have always enjoyed a parasitic relationship with the conceptual framework, language and methodology of other disciplinary sectors. It could also be said that there is a symbiotic relationship between cultural priorities and the characteristics of scientific research on the grounds that the dream is a prerequisite of its practical fulfillment. However, where application is concerned we are still in a highly ghettoized professional environment. 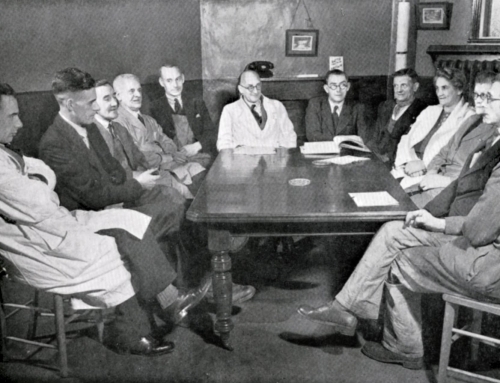 For an artist to productively collaborate upon major infrastructure projects in a shifting and dynamic landscape, it is essential to climb down from the pedestal and become conversant with technical processes that at first sight may jeopardize poetic integrity; by the same token the scientific community may need to set aside its mistrust of poetry and embrace the broader societal context for the application of its enquiry. It is possibly a heresy to claim that the subjectivity of science is a significant obstacle to the application of the range of disciplinary knowledge necessary to address the challenges and impacts of environmental change, when the alternative version is that it is the arts that are incapable of contributing knowledge in a form applicable to policy generation. Another argument is that the environmental sciences and engineering are so hampered by the obligation to work towards predetermined goals that they cannot accommodate the waywardness of communities, whereas the arts, inherently are adaptive and are under no obligation to arrive at concrete solutions. There is conflict when there is a need for defined solutions to be delivered within a particular time and a limited budget. However, since the current challenge is to a large extent unprecedented, it has caused an existential crisis in society where the credibility of designated authority is cast into doubt. It is at this point that a new paradigm needs to develop, which can only come from equal partnership between disciplines, the acceptance of their porosity and the need for them to grow towards each other: working with scientists and engineers on coastal projects, in order that I can be convinced that I am on target I will need to know that overview and imagination can be underpinned by data and sound structural principle. Sometimes the parameters for what is possible are generated by societal change rather than by linear extrapolation from the present. In this way, the principle of partnership is to keep us alive to the strong likelihood that future solutions can only grow out of society in evolution and that this will be informed by a combination of the constraints and freedoms driven by circumstances that are increasingly less under our control. Working as an artist in the voluntary sector is not unusually onerous for me; like many other artists, the prospect of tangible reward is so capricious that I might as well allow myself the pleasure of being driven by vocation first. This is a luxury I can enjoy because I also have the good fortune of an academic career, which allows both the time to reflect and the freedom to take risks. This means that I am able to undertake ambitious work for no personal gain other than the satisfaction derived from the outcome itself. Routinely a studio practice is utterly speculative with a low expectation of gain unless the work is sold, which even then would need to be successful indeed to return a profit against the cost of production. As a consequence when projects are not directly commissioned, it has become normal for me to work on them with the sole purpose of broadening the scope of my practice as an artist. This in turn feeds back into my research, disseminated through academic networks and may contribute to a deeper understanding of the cultural implications of environmental change. A shift in the process of governance in the public realm has driven new protocols for managing infrastructure projects based on the acceptance that partnership between communities, statutory agencies, regional and local authorities is a essential for their delivery. A newly harmonised relationship between my local community and both the Environment Agency and Natural England has stimulated a fresh approach to the development and implementation of coastal and estuarine strategy. This has been precipitated by a pronounced shift in the political climate and a growing determination from local communities to exert a stronger influence upon the management of their own landscapes: the Localism Act of 2009 formally endorses this by enabling a higher level of community initiative in the decision making process, which has become consolidated by the need for partnership co-funding to progress projects that would otherwise not qualify for support from central government due to a major shortfall in support from the exchquer. A deep interest and curiosity in the ways systems work combined with the attraction of working directly with the reconfiguration of local and regional landscapes, has persuaded me to undertake an executive role in the generation and coordination estuarine and coastal management plans. Through this I recognise the need to make policy work on the ground and welcome the opportunity to participate tangibly in what would otherwise be a spectators view of environmental change. In turn this both feeds into and is nourished by my academic and visual arts practice to the extent that now I find they have become indistinguishable. This is not without some forfeit: the many disciplinary partnerships that I enter into do not tolerate what they consider‘sloppy thinking’ and can be dismissive of my artist self. In other words I must be on my guard and demonstrate that I can walk the walk. In order to remain credible, I must be conversant with the science and also be clear about what I can bring to the table from my own vantage point. The forfeit is that although the conceptual and methodological tool kit is utterly transferable, the mechanisms that exist for dissemination of ideals in my own professional artworld are not suitable for the targets we need to reach. This leaves me feeling somewhat isolated but convinced that the only way must be forward. The principle community organisation that I work with is the Deben Estuary Partnership, which was expressly created to generate a management plan for the River Deben, on the Suffolk Coast of the UK (The Deben Estuary Plan 2015, a holistic management plan for the River Deben in partnership with Suffolk Coast and Heaths AONB, Suffolk Coastal District Council, Suffolk County Council, Environment Agency, Natural England.). One core issue within the final published document is the need to address the declining health of intertidal habitat on our estuary and the implications that this holds across a wide range of sectors from fisheries and the marine industries through biodiversity to flood risk management. Within any single area of concern, the management plan seeks to identify the web of stakeholder interests and articulate it to establish a coordinated approach to the wellbeing of the river for the benefit both non-human and human communities. Whilst it is my view that through community action we may affect attitudes to environmental change on our own patch and in turn promote a broader comprehension of environmental change, I doubt whether our national institutions are entirely with us and truly intend that we should enjoy such a high level of autonomy. It may be cynical to suspect that the voluntary sector is being exploited to carry out tasks that central government might prescribe but can no longer afford to implement itself. Old habits die hard and any departure from centralized decision making can be messy in the extreme, very wasteful in officer time and may not lead to workable policy decisions. In this respect I question whether partnership truly exists, but we are where we are and although we have only just started to establish workable parameters for exchange between communities and government, the aspiration is to evolve a new model of governance that may sooner rather than later become clear and more comprehensively applicable. To be an artist is nothing if not circumspect by nature and although fiercely jealous of its own autonomy, art borrows promiscuously from other disciplines. Art is a parasite that feeds upon the corpus of culture. Its insularity is just a conceit, its inherent freedoms are its strengths; the liberty to appropriate methodologies from other disciplinary fields is a means by which culture remains mobile and relevance transferable. In this way disciplines learn to cross-fertilise and to productively misinterpret each other; this has certainly happened between the fields of cultural geography, social science and art where the opportunity to blunder around as amateurs in each others territory has laid open a rich vein of interpretation of landscapes and what it means to inhabit them. This gives a new approach to articulating land and land use, which can shed light upon what it is that ties people to place. The essence of this lies not so much in the data generated but more in the methodologies used where the combined effect of the propensity to reflect and the generation of data to reflect upon can focus attention upon the nuances of real and imagined territory that would never be picked up by the radar of standard methodology. This may contribute overall to a heightened awareness of ownership and responsibility, which is a vital ingredient in the negotiation of an alternative route map to management strategies that are more applicable to uncertain relationships between landscapes and their communities.